They say everything's bigger in Texas -- and the flea market bargains are no exception. 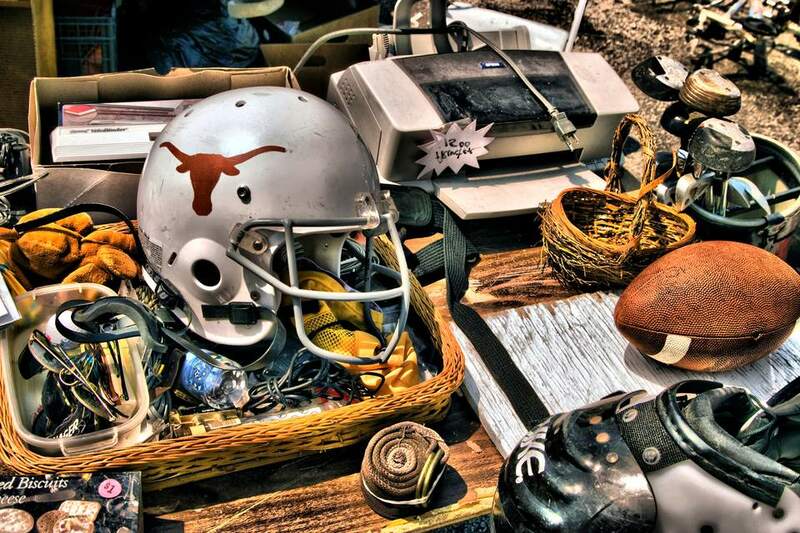 Find Texas flea markets near you using the Texas flea market directory. In addition to great flea markets, the listings include antique shows, swap meets, vintage shows, and flea-market-style junk and antique malls. Friday noon - 6 p.m., Saturday 9 a.m. - 5 p.m. Slogan is "This Ain't Your Grandma's Flea Market!!" Shopping hours 9 a.m. - 4 p.m.
Shopping hours 11 a.m. - 6 p.m.
Shopping hours Saturday 11 a.m. - 7 p.m., Sunday 10 a.m. - 5 p.m.
Open Friday through Sunday 9 a.m. - 5 p.m.
Open Saturday and Sunday 9 a.m. - 5 p.m.